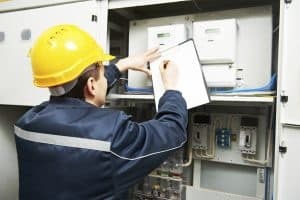 We have two recently approved seminars for power quality recently approved by the State of Wisconsin Department of Safety and Professional Services. Introduction to Power Quality and Power Quality in Motor Control Applications have now been added to our Power Quality Seminar Schedule. The new seminars are 4 hours and offer 4 credit hours (DSPS) or 4 PDHs (at the Engineer’s discretion). Please Join us at the next seminar! We are committed to increasing awareness and understanding of power quality problems and practical solutions to help participants make informed decisions about power quality. We can offer training programs that are tailored to meet your specific needs. You can choose the specific topics to be covered and the amount of time allocated for the training program. You supply the meeting location, presentation equipment and materials; we can develop and present the technical training program.